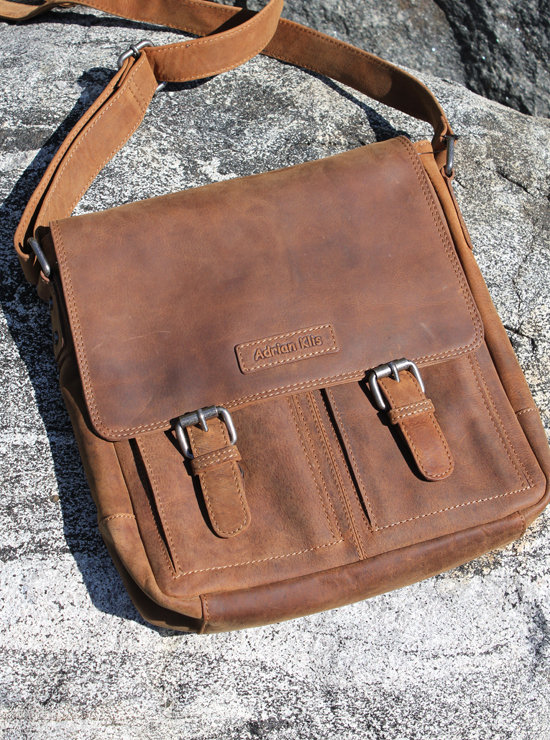 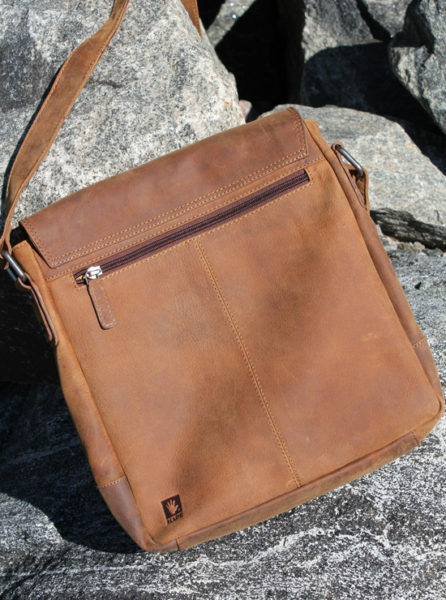 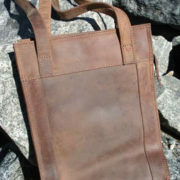 This tablet bag is crafted of buffalo hide. 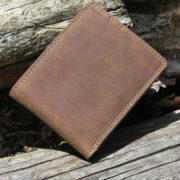 It looks great but you will appreciate the functionality even more. 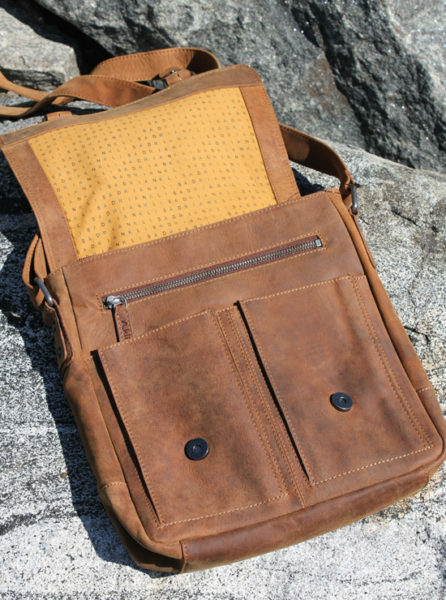 There are two pockets on the front, plus a zippered compartment. 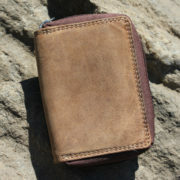 Inside, you’ll find a padded tablet pocket and three more compartments (one zippered). A final zippered compartment on the back and an adjustable strap add the final touches. 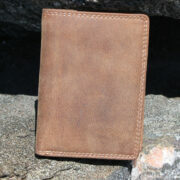 Measures 10″ x 11″ x 2″ (25 cm x 27 cm x 5 cm).